I am a, NASM-PES, ACE-CPT, is the Fitness Director at the Union League of Philadelphia. I have been in the fitness industry for 10 years. I holds a B.S. 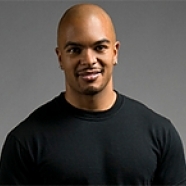 in Kinesiology from Temple University and is a trained practitioner of the C.H.E.K Institute. I take a holistic approach to fitness and personal development and coaches on all aspects of health and wellness.